Talia has room for one more in this sweet grouping! Students have been knitting, sewing and embroidering. All levels welcome! Pick up available at Pierce. Meeting Mondays 3-6. 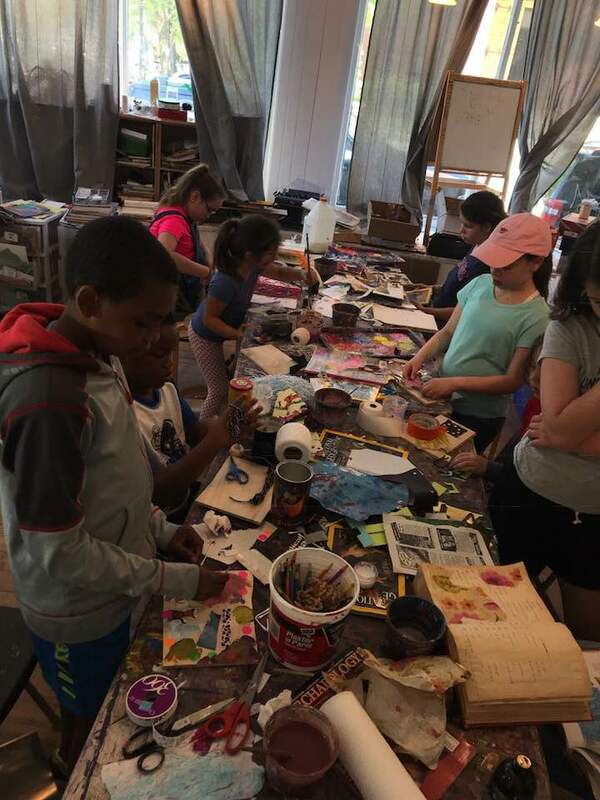 Brookline school half day workshops! 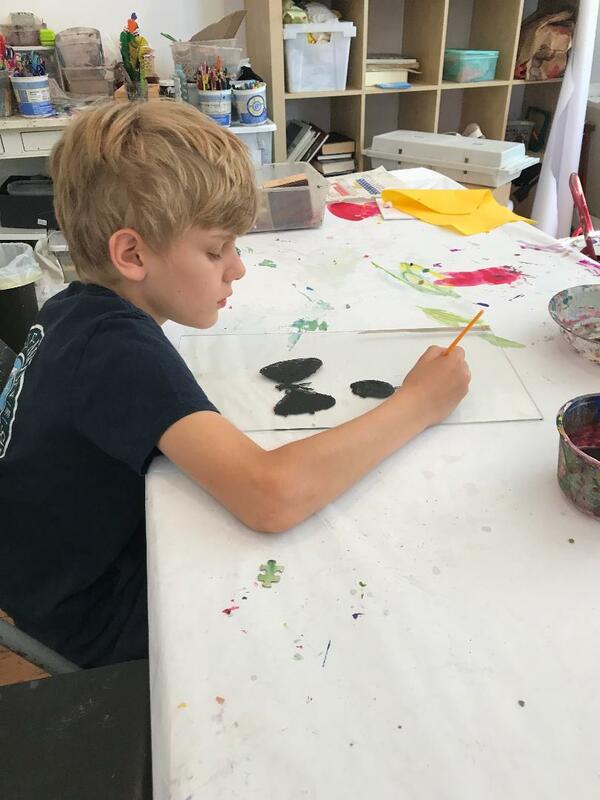 Brookline school half days are coming and we have some fun workshops planned! All workshops run 1:00-2:30. Pick up available at Pierce. Cost: $45 including pizza. These workshops will be taught by local artist Talia Lefton. Please feel free to email with any questions and let me know if you'd sign on! These first weeks of school have been filled with lots of canvas painting and drawing! The Monday class has been working on staying with a canvas project for 4 weeks. We’ve all made a vow not to give up! The Friday class has been working on building surface and texture. Pretty exciting work! Art classes and workshops for the younger set! Classes for the younger set this fall! Art with Amy is super excited to present our new art offerings for the younger set taught by the ever awesome Karly! These classes will all be starting up the first week in October and running as 8 week sessions. Please feel free to email with any questions and to sign on. Using contemplative practices of art, yoga, sitting meditation and dancing as the main tools for learning children will explore all sorts of activities that will inspire curiosity of the world around them. Students will be making biodegradable sculpture, wool felting, tool making, doll making, yoga stories, tea and story time, calm breathing and Ikebana ( meditative flower arranging). Mondays and Wednesdays 8-11 . Join your young artist for painting, drawing and building explorations! Karly Loyer is a Boston based contemplative pre-school teacher. She has her Bachelor’s degree in Early Childhood Education with a minor in Visual Arts, as well as Traditional Eastern Arts. Karly studied at Naropa University, a Buddhist based university, in Boulder, Colorado. After school classes are up and running! Just a few spaces remain! Art classes and workshops on September 4th and 5th! We have a few spaces remaining in our September 4th and 5th days before school begins. These days will be filled with collage, bookmaking, sewing, cyanotypes ( sun prints) and open workshop time! We offer 9-2 and 2-5 options both days. On Tuesday and Wednesday 9-2 Gem and Karly will be teaching in the studio. Bring a lunch and collage, create mixed media wonders, make books and follow your artistic passion! Tuesday afternoon 2-5 Anne is back and creating magical cyanotypes! 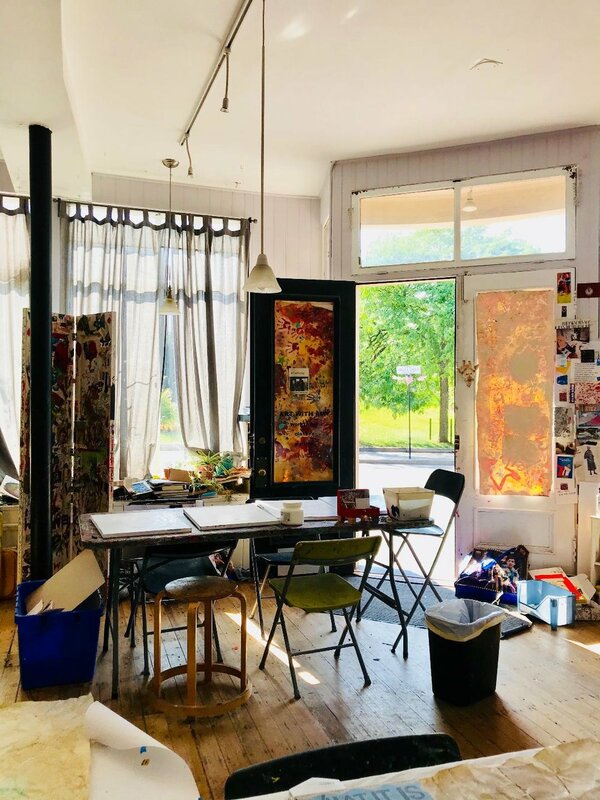 Wednesday 2-5 we wrap up our summer programming with our ever popular open workshop lead by Amy- expect lots of painting, drawing and building! Hope you join us for some creative moments before fall begins! Stay tuned for the many exciting new programs we'll be offering this fall! We're ready for the last full week of summer programming! LOTS happening in the studio! Mixed media, cyanotypes, canvas painting, slime, egg tempera experiments and dioramas! These weeks of August have been filled with amazing art made by kids of all ages! WOW! Afternoon workshops for the week of August 20th! We are super excited to announce this week's afternoon workshops! All workshops meet 2p-5p and cost $60 including all materials. We are now officially accepting payment through Venmo (@Amy-Solomon-17)! Monday: Terrariums! Plant and design! Wednesday: Slime Lab Make all sorts of fun and glittery slime! Thursday: Science meets fashion design! Design and create your own tshirt learning the art of cyanotypes ( sun prints) ! 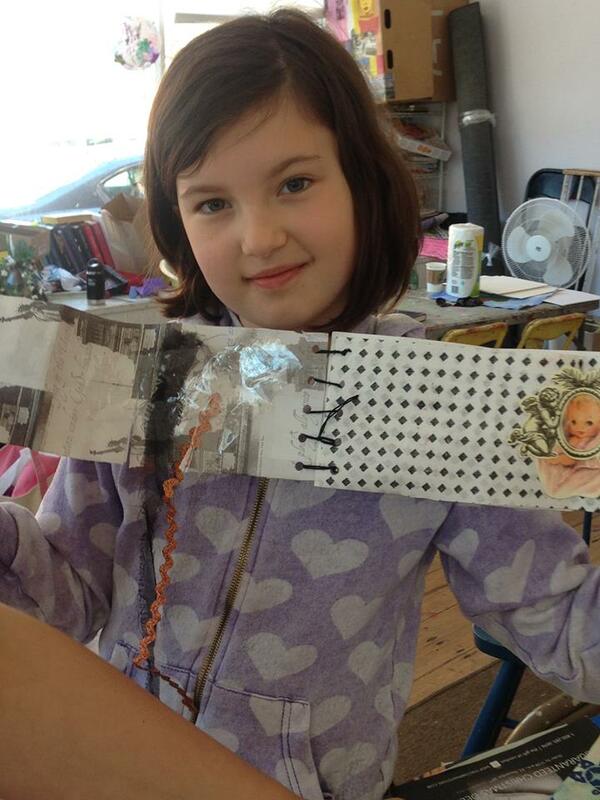 Friday: Alternative sculptures: Using wood, wire, toys, cardboard and unexpected materials make art! This week our Monday class had the opportunity to experience Fujiko Nakaya's fog sculpture steps from the studio right in Brookline Village! Art and nature intermingling stirred wonderful conversations about art installations and temporary art. We picnicked nearby and were able to watch the fog change with the wind. Ahhhhhh summmer in Brookline! Mornings with Karly! Art and mindfulness for the younger set coming this Fall! Art with Amy is super happy to present Mornings with Karly this September! A class for ages 5-7. Using contemplative practices of art, yoga, sitting meditation and dancing as the main tools for learning children will explore all sorts of activities that will inspire curiosity of the world around them, and cultivate a sense of community and caring through process based and collaborative work. Our mission is to cultivates mind-body synchronization and allow children to be who and how they are while giving them the tools to skillfully move through adversity. Creating biodegradable sculpture, wool felting, tool making, doll making, yoga stories, tea and story time, calm breathing and Ikebana (meditative flower arranging). Karly Loyer is a Boston based contemplative pre-school teacher. She has her Bachelor’s degree in Early Childhood Education with a minor in Visual Arts, as well as Traditional Eastern Arts. Karly studied at Naropa University, a Buddhist based university, in Boulder, Colorado. She then went on to receive extensive training in mindful teaching at Alaya Preschool where she taught preschool for 2 years. Karly is passionate about guiding and nurturing children in their development of becoming compassionate, genuine, and curious beings. Classes and workshops for the week of August 6th! AWA for the week of August 6th! We have some spaces available on some days of the 9-2 week. These will be filled with all sorts of painting, drawing and building explorations! Please email to sign on. We also have some exciting workshops lined up for the 2-5 day! Monday- Learn the technique of image transfer! 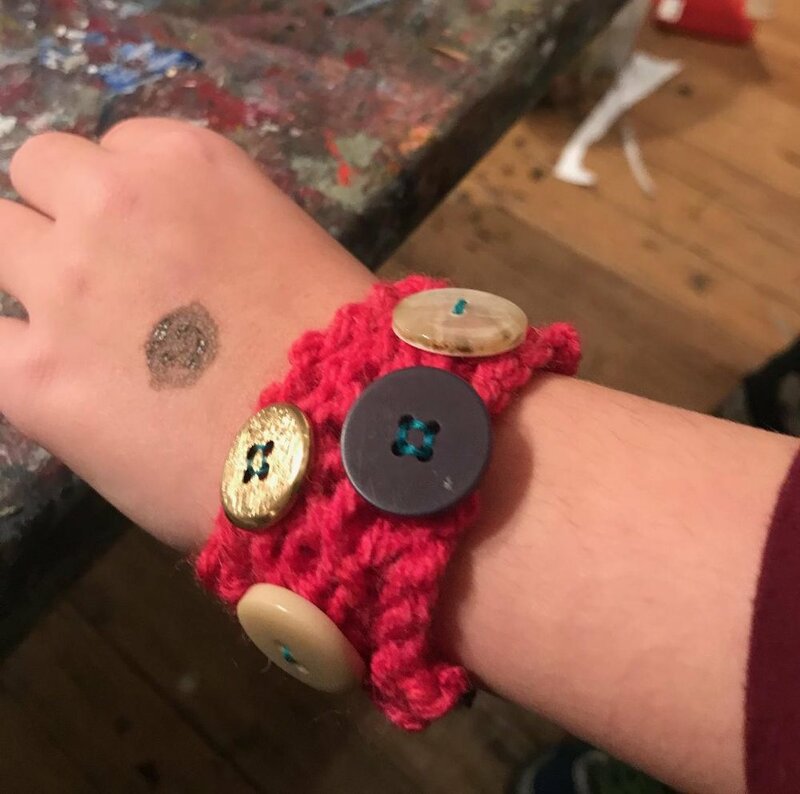 Tuesday- Wearable art! Make Cyanotypes! These are the sun prints on t-shirts! Friday- Open workshop- all sorts of painting, drawing and building! Science meets fashion design! Join us Tuesday August 7th 2-5 and learn all about the magical art of cyanotypes (sun prints). Sewing! Sun Prints! Fashion Design! Sculpture! Also some afternoon open studio time! Feel free to email artwithamystudio@gmail.com with questions and to sign on. Message from Sandra! On the way to Texas! "I'm in Bluefield County, W.V.. Coal mining town. I donated all the Winter things and a few other things. Love you and all and Mr. Craig had tears in his eyes." We've got some wonderful afternoon workshops coming up next week! All workshops meet 2-5. We love mixed age classes so these are great for all school aged children. Cost: $60 per afternoon. Email artwithamystudio@gmail.com with questions and to sign on. Monday July 23rd: Learn various bookmaking skills with Gem and make your own book! Tuesday July 24th: Learn the fun art of gel prints with Martha! Wednesday July 25th: Sew a bag! Using a sewing machine sew a bag with Jack. No sewing experience needed! Thursday and Friday July 25th and July 26th: Altered dollhouses. This is a fun one back from last year. Students will take old dollhouses and redesign them. Painting, wallpapering and knocking down walls. Think This Old House! Bookmaking with Gem Monday afternoon! These next two weeks we are excited to have Mihoko from Saori Worcester as our visiting artist! These weeks will be fiber arts weeks! Weaving on large looms, felting, knitting, spinning and sewing are all on the schedule. Make bags, scarves and shawls. Make what you love! This week (July 9th) we have a few spaces in Monday, Tuesday and Wednesday classes meeting 9-2. Heading into the weeks of July 23rd and 30thwe have a few open spaces. These are classic Art with Amy summer studios with sign ons by the day or week. Expect a ton of FUN as we build sculptures, paint canvases, tie dye/batik and more. All classes have mixed ages and we intentionally keep groups small for individualized attention. Early morning drop off options and afternoon workshops available. For more info and to sign on please feel free to email.